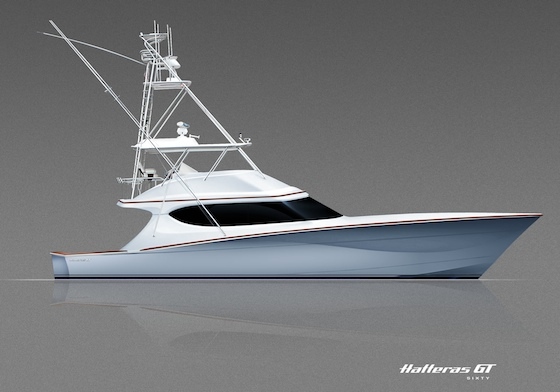 Hatteras duplicates the styling of their 90-footer in a 70-foot motor yacht, the 2016 Hatteras 70 MY. 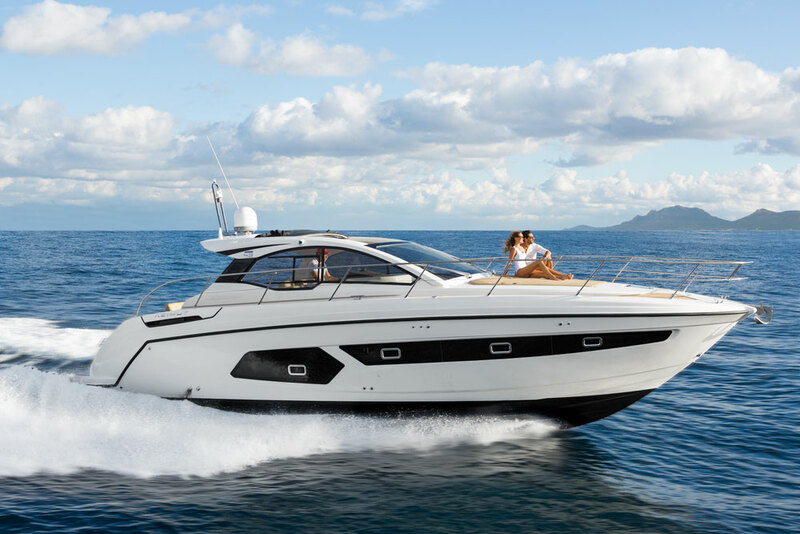 Hatteras has tapped into the open concept that is so popular in the houses we admire today, with the new 2016 70 MY we visited at the Fort Lauderdale International Boat Show—in fact, we found it so impressive that this model was named one of the top 5 motoryachts at the show. 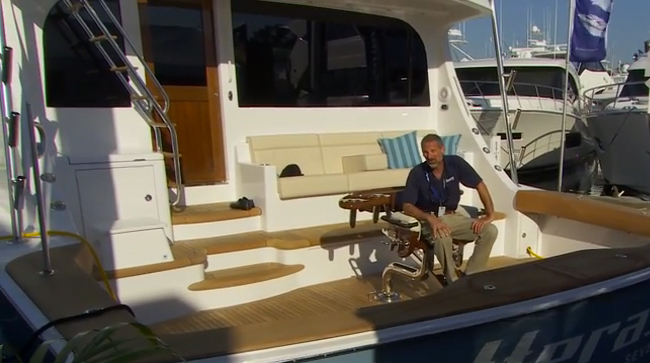 The 70 wowed the crowds, with an expanse of main deck living. Get a glimpse with your own eyes, in the short First Look Video. From the sliding glass door entry at the cockpit, the interior flows unimpeded all the way to the forward windows some 50 feet ahead. 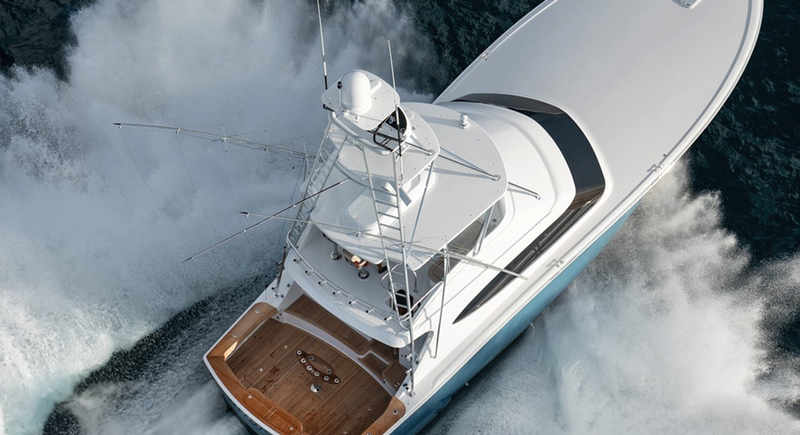 To starboard is a large L-shaped settee that will comfortably seat eight and faces a cabinet that houses a pop-up big-screen TV. Just ahead and also to starboard is the galley. Between the separate island, granite countertops, and overall size, this is a kitchen most land-based homes would be proud of. Just a few steps ahead is the skylounge–a U-shaped banquette surrounded by large windows and topped by a high ceiling with yet more windows. Twenty people could move easily between these three connected spaces for a memorable cocktail party. A second layout option moves the galley to the skylounge, and adds a traditional dining table with eight chairs just ahead of the saloon. 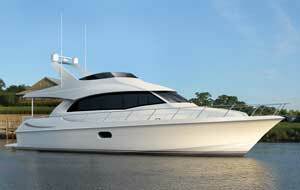 Seemingly dedicated to entertaining, the Hatteras 70 MY flybridge has room for a dozen or more guests. 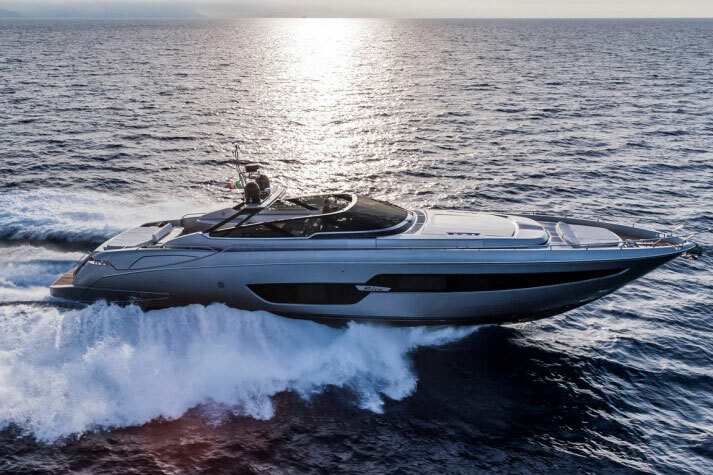 Between the portside U-shaped settee, the starboard side bar with stools, the aft sun deck, and the two helm chairs, a crowd would not feel crowded. 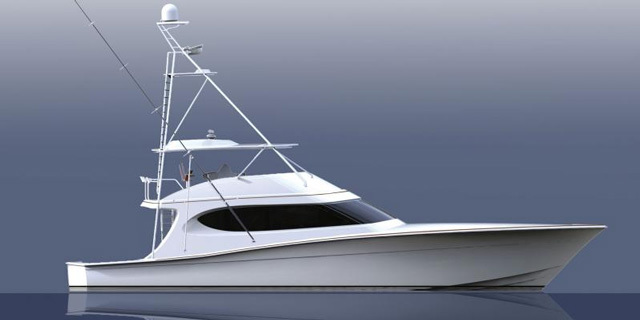 For more information visit Hatteras. 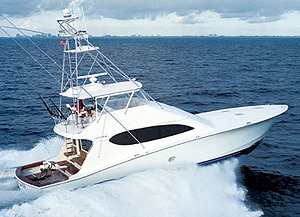 Or take a look at some Hatteras 70 MY listings.